NORWALK, Conn. -- 365 Data Centers, a leading provider of hybrid data center services for carrier, content and enterprise customers, announces the launch of a new, master agent-centric channel program alongside the company’s transformation from a colocation to a hybrid IT services provider. As 365 rolls out network upgrades and new cloud and virtual managed services offerings, its channel partners are benefiting from an array of solutions backed by unparalleled customer service and the company’s powerful, low latency fiber infrastructure, with data centers strategically spread across 10 Tier 1 & 2 markets. 365’s current master agents include COLOTRAQ, Global Communications Group (GCG), Telarus and Telecom Consulting Group (TCG). Colo/IT cloud software consultants, VARs, MSPs and telecom brokers/consultants are especially strategic sub-agents for 365’s new program. To learn more about the partner program or how to become a sub-agent, contact 365 at 866-365-6246 or partners@365datacenters.com - or visit the team onsite at Channel Partners Evolution, taking place Oct. 9-12 in Philadelphia. Stop by booth #425 or reach out to partners@365datacenters.com to schedule a meeting. Channel Partners Evolution attendees are also invited to join 365 Data Centers at the Telarus Grand Master Party starting at 5 p.m. on October 11 at the Masonic Temple and Masonic Library & Museum. Click here for more info and to register. 365 Data Centers is a leading provider of hybrid data center solutions in ten strategic, primarily edge, markets. 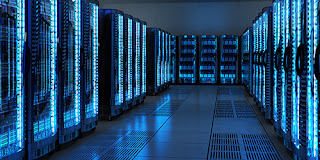 With data centers in Boca Raton, Buffalo Chicago, Detroit, Fort Lauderdale, Indianapolis, Nashville, Philadelphia, New York and Tampa, the company has in place a total of 195,000 square feet, 13 MW of power and a redundant, low latency, nationwide fiber network, including direct connectivity to the NAP of the Americas. 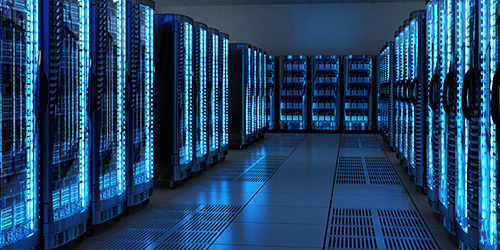 Our robust, carrier neutral ecosystem and secure, reliable edge colocation, network, IP, DRaaS, backup, cloud compute and storage, and business continuity services help organizations reduce costs, drive innovation and improve their customer experience. 365 Data Centers supports mission-critical application infrastructure by providing industry leading SLA protections and adhering to industry standards such as HIPAA, PCI DSS, VISA, SSAE 16, SOC 2 and ISAE 3402. 365 Data Centers’ corporate office is located in Norwalk, Connecticut. Visit https://www.365datacenters.com/ for more information.